The Spanish proverb that says “Lovers of Teruel, silly she, foolish he” is well known, but what is its story? The love story between Isabel de Segura and Juan Martinez de Marcilla -which Baroque authors called Diego- goes back to the Teruel of the Middle Ages. One day they met in the market and fell in love, but she was a rich heiress and he was a second child without inheritance, so her father would not accept it unless he offered a worthy dowry. Diego promised Isabel to return in five years with enough money and joined the Christian troops who were fighting against the Muslims. Isabel, in spite of the pressure of her father, rejected during this time all the marriage proposals that were made to her. However, after the years and without news of Diego, she finally got married. The next day Diego returned to the city full of riches, and knowing what had happened went to look for Isabel and asked for a first and last kiss. She refused, and Diego fell dead. 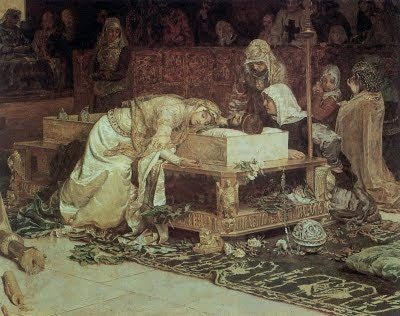 At her funeral, Isabel approached the body of her beloved and gave him in death the kiss she had denied him in life. And there he died. 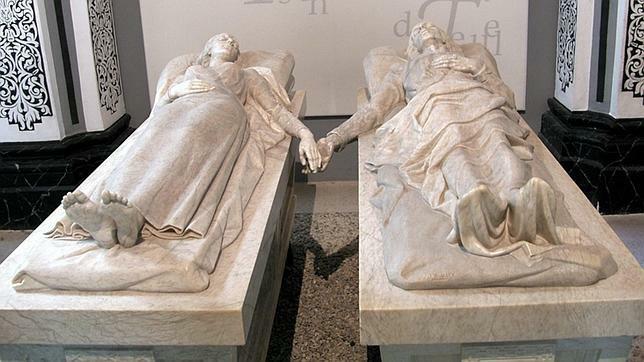 The lovers were buried together in the church of San Pedro and have been protagonists of a lot of literary and musical works from the pen of the dramatists Tirso de Molina or Juan Eugenio Hartzenbusch or the composer Tomás Bretón, among others. At present, the city recreates every February the tragedy of its lovers returning the inhabitants to the Middle Ages for a few days.